Concordats are no longer agreements between the pope and a Catholic king, as they were when they began. Now they are being extended to countries without a Catholic majority, or even a Christian majority. By the beginning of 2017 the Vatican had at least one concordat or more with over 50 countries. The number of concordats has grown exponentially. After the first concordat was signed in London in 1107 there were only six more until 1700, averaging only one a century. During the eighteenth century fifteen more were made and in the nineteenth century a much larger number. By the start of 2017 the Vatican had at least one concordat with over 50 states. Some countries like Germany and Italy have dozens apiece. Europe was where concordats began, but during the Protestant Reformation many of the concordats in Northern Europe were cancelled. At present European concordats are concentrated in the traditionally Catholic areas of the south and east. However, they are continually being extended, even to regions with a minuscule Catholic population like Schleswig-Holstein, the German state on the border with Denmark. Of the 27 countries of the European Union, 15 are bound to the Holy See by at least one concordat: Germany (at both federal and state levels), Austria, Spain, Italy, Portugal, Luxemburg, Estonia (1998), Hungary, Latvia, Lithuania, Malta, Poland, Slovakia, Slovenia, and even three concordats with the supposedly secular France. Latin America now has many concordats, despite the widespread cancellation of its earlier ones. See the List of some Latin American concordats. In Africa concordats have not been limited to individual states and in 2000 an agreement was signed with the Organisation of African Unity (text). Concordats have also been signed with Gabon (2009) , Côte d'Ivoire, Mozambique (2011) , Burundi (2012) , Equatorial Guinea (2012) , Cape Verde (2013) , Chad (2013) , and framework concordats with Cameroon (2014) , the Democratic Republic of Congo (2014), the Central African Republic (2016) , Benin (2016) , the Republic of Congo (Congo-Brazzaville) (2017)  and Angola (announced in 2018 as almost done) , with many more in the works. Africa was home to almost 200 million Catholics in 2015 , and by 2025 the projected 230 million Catholics will represent one-sixth of all Church members worldwide. On a continent where the Catholic Church offers many services that states do not, Africa is widely seen as the future of the Church. It also offers the chance to cement concordats with de facto dictators, which remain even when countries become more democratic. For example, the Vatican's cryptic new release says that this concordat "provides for the implementation of functional understandings between the Bishops’ Conference and the State on certain matters of common interest". Who knows what the authoritarian ruler of the troubled DR Congo has ceded to the Church? Asia is another area where the Vatican has recently extended the reach of concordats. By the end of Benedict XVI's reign in 2013 the Vatican had ties with 180 countries, though the Pope had been unable to achieve the “core goals” of formal diplomatic ties with Saudi Arabia, China, and Vietnam. However, in 2011 the Vatican and Hanoi entered what the Vatcan claims is an unwritten "gentlemen's agreement" on the appointment of bishops. The details of that oral agreement have never been disclosed. However, it is believed to involve the selection of three possible candidates by the Vietnamese Church, the selection of one by the Pope and the approval of the candidate by the Vietnamese government. This amounts to the privilege of royal patronage which was first accorded to powerful mediaeval kings who insisted on having a say in choosing the bishops in their realms. Recently this privilege has been extended to atheist communist governments that only allow religious freedom within state limits. Power talks. Next came the only two Southeast Asian countries which are predominently Christian. Both the Philippines and Timor Lest got concordats in 2015. Then in 2017 the Vatican established diplomatic relations with Myanmar, and Pope Francis paid a visit a few months later. There he refrained from specifically mentioning Burmese genocide against the Rohingya or even mentioning their name. The Pope responded to criticism by claiming that using the term “would have been a door slammed in the face.”  ...In the face of progress towards a concordat? In China the Vatican finally meets its match: the strangest concordat of all? Pope Francis, a Jesuit, was eager to complete the work of the missionaries of his order who had been active in China during the 16th and 17th centuries, and get China opened up for missionising, since it is home to a fifth of the world's population. When Mainland Chinese Bishops were finally able to attend a synod at the Vatican for the first time, Pope Francis wept. 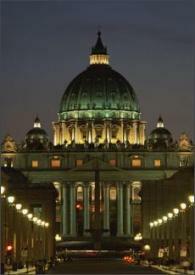 Beijing was said to have had the upper hand in the negotiations as the Vatican wanted an agreement more. In fact, just before the concordat was signed, the Chinese government clearly stated its policy of sinicising religion to prevent interference by foreign powers. XXXX And so, the concordat negotiations with China continued year after year, while the Catholic flock, estimated at about 12 million, was shrinking, and there was a surge in Buddhism and Protestantism. The standoff was caused by the Vatican and the Chinese government both insisting on the right to appoint bishops. This led to two rival Catholic groups in China, the party-controlled Chinese Catholic Patriotic Association and the Vatican-compliant "underground" Catholic Church. Vatican officials refuse to specify the exact nature of the Pope's input, and the text will not be published. But if it is indeed limited to a selection of candidates proposed by the Chinese government, then this would reflect the Vatican's traditional willingness to do what was necessary to accomodate a powerful ruler who could enable the Church to expand. According to outspoken Hongkong Cardinal Joseph Zen this compromise with Church doctrine in favour of a Communist government is something the Vatican would prefer to keep quiet about, and one reason the text will remain secret. He has also accused the Vatican of resuming the Vatican's pragmatic Cold-War Ostpolitik . A Chinese Catholic has drawn another parallel, by comparing the agreement with China to the 1801 concordat with Napoleon, in an analysis that is well worth reading. For his part, Pope Francis referred to the "royal patronage" granted to the kings of Spain and Portugual. They were given a say in the appointment of clerics, in return for spreading Catholicism by the sword in both their home countries and their colonies. Cardinal Parolin,the Vatican Secretary of State who negpotiated the concordat with China has emphasised that its aims are the traditional ones of "salvation of souls" and "freedom of the Church" -- in other words, creating the conditons for missionising. [YYY] Whether the Chinese government will allow this, is another matter. A few months before the concordat was signed, the central Chinese province of Henan prohibited all young people under 18 years of age from entering church to attend mass and banned the Catholic Church from organising any youth activities. [ZZZ] Was this an attempt to put pressure on the Vatican to sign the concordat, or was it a sign of things to come -- or maybe both? 3. "The numerous concordats concluded towards the middle of the 19th century with several of the South American republics either have not come into force or have been denounced and replaced by a more or less pacific modus vivendi." "19th-century concordats", Volume 6, Page 834 of the 1911 Encyclopedia Britannica. 8. "Vatican Ratifies Agreement With Montenegro", Balkan Insight, 2012-06-22. 11. Cooperation Agreement between the Organization of African Unity (OAU) and the Holy See, 2000-10-19. 12. "Pope Receives President of Gabon", Vatican Information Service, 2009-12-10. "President Obiang Of Equatorial Guinea Meets With Pope", Yahoo News, 2013-10-31. This was ratified, not by a legislature, but by the acting president, Faustin Archange Touadera, who also gets to appoint the country's judges, including those on the Supreme Court. The second article confuses the Republic of Congo with the Democratic Republic of Congo:"Holy See signs agreement with Congo-Brazzaville", Catholic News Agency, 2017-02-06. 25. Philip Jenkins, The Next Christendom: The Coming of Global Christianity, 2011, p. 73. 35. "The sources said that in the future, new bishops will be proposed by local members of the Church, together with the government and the Chinese bishops conference."